The purpose of this study was to investigate urban movement patterns of the raccoon. 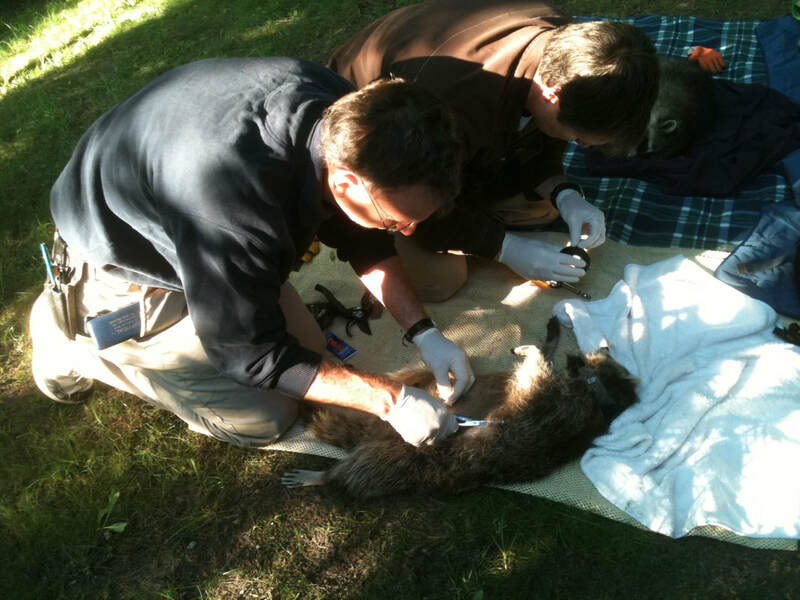 We fitted five raccoons with GPS tracking collars in a major urban metropolis (Toronto). We collected coordinates at short regular intervals during a five-week period. The data yielded large number of sample points for each animal (up to 1500 positions per animal), giving us an unprecedented detailed look at home-range usage and of movement granularity. We found that raccoon territories were between 9 and 15 hectares and smaller than previously reported and that territories did not require a permanent source of water. Urban road traffic patterns seemed to delimit the boundaries of the territories. Raccoons used of a variety of natural and anthropogenic structures as sleeping or denning sites and each raccoon used many different sites within its territory during the study period. Each site had a latrine in close proximity. Our results illustrate the movement peculiarities and flags issues for management of this synanthropic species. Also see the link to PBS Nature documentary "Raccoon Nation" featuring some of our research. Also seen on CBC The Nature of Things with David Suzuki.